We will be expanding this function with the ability to map to a channel URL in the near future. 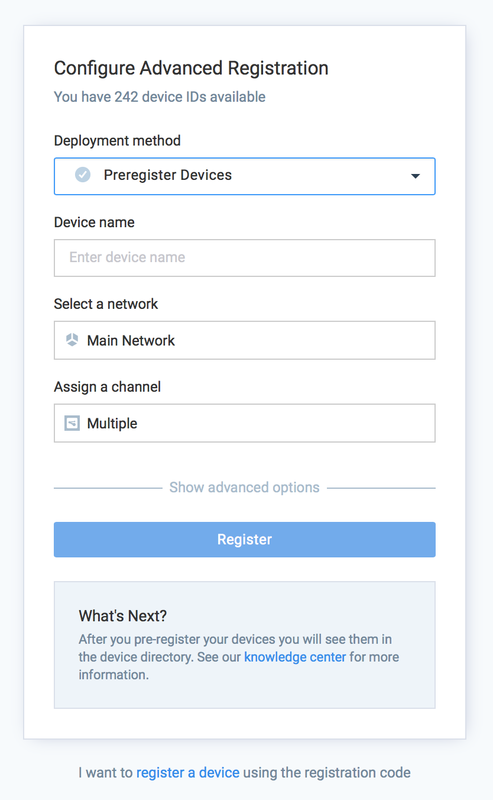 In the Configure Advanced Registration window, select Preregister Devices for the Deployment method drop-down menu. 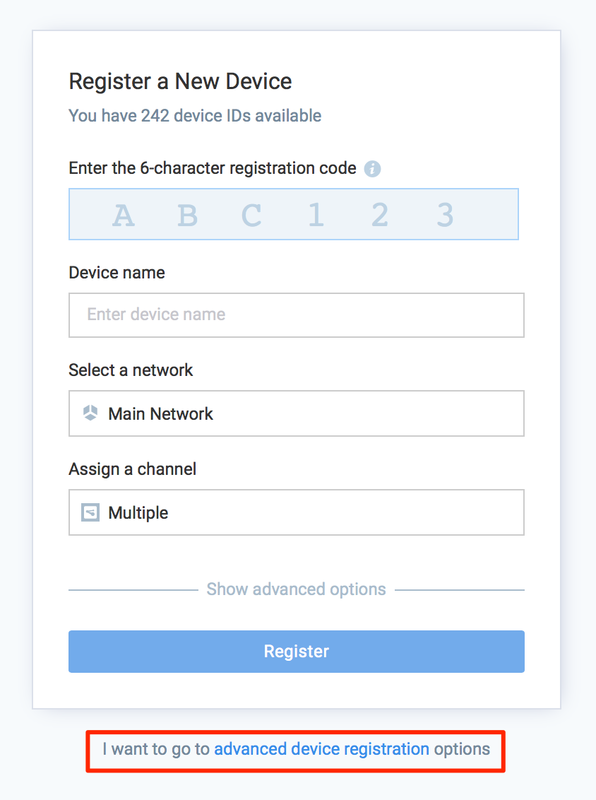 Click Register to create a virtual device.